Alison is an Investment Manager in the Monitoring Team. She is responsible for liaising with claimants and their legal teams on cases which have been funded. Alison monitors the merits and economics of each dispute and ensures that every case is put forward in the best possible terms from when the Funding Agreement is signed off until settlement/judgment. Having held senior roles at city law firms, and having run her own practice, Alison understands the legal and commercial issues faced by claimants and their lawyers. 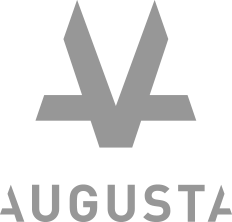 She draws upon this experience at Augusta to add value when working with solicitors and their clients. Alison enjoys business development and is actively involved in promoting Augusta in Scotland and Bermuda. Alison qualified as a Solicitor in 2001 and has worked at city law firms, including as a Senior Associate at Reynolds Porter Chamberlain and as a Partner at Plexus Law and Fisher Scoggins Waters. She has a wealth of experience in commercial litigation, insurance/re-insurance, subrogated property damage claims and professional negligence actions. Alison graduated in Law (LLB Hons) from London South Bank University and achieved a Commendation in her post-graduate degree (Legal Practice Course) at London Metropolitan University. Alison is also a part-qualified ICSA Chartered Company Secretary.